this material to secure $5,000, $10,000, even $20,000+ raises -- often with a single conversation. "11% salary increase, plus a bonus worth $2,000"
"Extra $10k, 5+ weeks of vacation, and 6% 401k"
"I used your techniques to double my salary from $43,224 to $83,125. Plus relocation and benefits." "I got a 17% total increase ($13,000)... and invited to work towards an open position above me in the next few months (possibly another big raise)!" "I negotiated a 20% increase in starting salary and a 10% raise after 6 months. I also negotiated for vacation and medical benefits (and my new salary is over 100% more than I had been making). 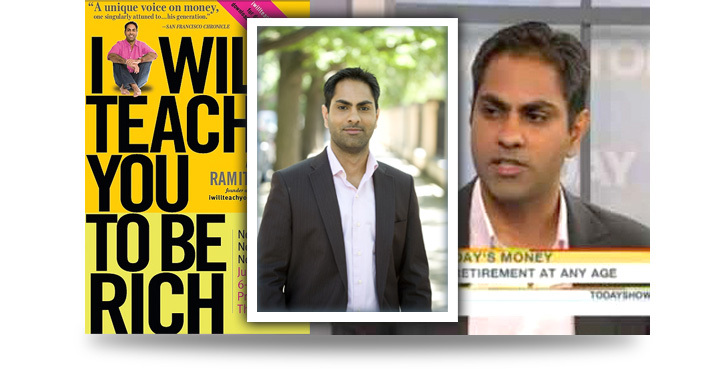 Even in this economy...when they "don't have a budget"
Hi, I'm Ramit Sethi, the author of the New York Times bestseller, I Will Teach You To Be Rich. I'm a little different than other people who write about money and careers. Instead of telling you what you CAN'T do with your money ("No lattes, no jeans, no vacation"), I show you how to spend extravagantly on the things you love...and how to earn more money so you can pay for it guilt-free and stress-free. And now I want to show you how to get paid what you deserve. This is the first course to teach you how to take control and negotiate your salary at your current job, for your current boss...including the actual specific words to use in your negotiation. Not just "tips" and "advice," but the actual scripts that I've fanatically tested with hundreds of people. This proven program walks you through every step to successfully raise your salary by thousands of dollars -- with the exact emails to copy/paste and the word-for-word phrases to use. "My husband went from a $60,000 [per year] job to a $100,000+ job in ONE shot using your negotiation script." "I basically followed your script for negotiating a raise verbatim. Your tactics were responsible for earning me at least $30,000/year [more]. I feel much more in control of my financial future, and capable of negotiating more raises in the future." I included hours of video, detailed before-and-after body-language analyses, ready-to-use scripts that show you the exact words to overcome objections ("We just don't have the budget in this economy..."), and powerful case studies from students who are now making thousands of dollars more. All so you can take control of your career and stop waiting for your boss to do it for you. This program works for people in any industry, at any age, with any level of experience, male or female...even if you've never negotiated before. What would an extra $5,000 mean to you? QUESTION: "What would a $5,000 raise mean to you?" "Getting that raise would validate my skills, I'd feel like I actually was justified in feeling I belonged there and I'd be a little humbled too that my boss expects me to be worth it." - Heather C.
"I would fell like I would finally have made it to being a grown up rather than constantly worrying whether I have enough money to keep working on paying on my student loans and keeping up with my debt pay off plan." - Angie B. "I would know that I am truly being paid what I am worth, not some arbitrary number that my employer came up with." - Robert W.
"It would keep my wife from having to work ever again and she could focus on family matters." - Chris H.
"I would have a new-found confidence regarding my worth - that I AM worthy of and capable of a decent salary. I would walk away knowing that my boss/company appreciate the work I do and want to keep me - regardless of the cost." - Megan C.
"I'd feel like I could do anything. I'd feel confident that my financial future was secure because I'd know how to get the money I needed to make it that way. I'd feel free." - Gareth L.
"I actually got an $9k pay rise late last year after asking for one....I felt awesome, made me feel valued and they really wanted me part of the team and I like knowing that my salary keeps increasing. I'm not stagnating in life." - Sally B. Pretty incredible. For most of us, $5,000/year would make a massive change in our lives, giving us that little edge to get to the next level. I asked the SAME people to tell me why they hadn't yet negotiated for a higher salary. QUESTION: "Why haven't you negotiated your salary yet?" "I've never asked for a raise. I've always assumed that if I deserved one, I would get one." - Chad W.
"Don't feel in a position to negotiate. Lucky to have a job etc, (Sad I know!)." - Si C.
"Lack of confidence. Also, I have always been in sales and the sales manager usually says - Sell more." - Jennifer C.
"To be perfectly honest, I'm concerned about appearing greedy." - Jonathan G.
"Assumed that as an hourly employee a raise was extremely unlikely compared to someone who was paid salary." - Katie H.
"Haven't worked in my job long enough to ask for one." - Daniel E.
"Raises at my company are strictly tied to a rating (1 - 5) we get at the end of the year. If you get a 5 (because you walked on water and one person get's it out of 30, and is rotated through out the years) you get a 5% raise (max)." - Tulio T.
"My mindset was "take what they give me." Just terrible. Don't rock the boat. Not feeling worthy of a raise beyond the meager increase they would give me." - Sasha G.
"Too risky" - Anuj P.
"Small staff and limited budget" - Daniel G.
So let me get this straight. On one hand, a $5,000/year raise would make a huge difference in lifestyle -- and it would make nearly every one of us appreciated for the work that we do. Yet when I pointedly asked these readers why they hadn't negotiated, they listed reason after reason why they "couldn't" negotiate. The economy. Fixed salaries. Fear. Funny how in the same time period, others were negotiating their salary, leaving their peers in the dust. So we know a $5,000 raise could mean a world of difference to us. Yet we accept excuse after excuse for not negotiating. Why? We "know" we should negotiate. We know we're probably being underpaid. In fact, when I asked my readers to research how their compensation stacks up against their peers, here's what they found! A Top performer with my experience in my field should be making about $6,000 more per year. I could easily be making 15-20k more. THe average is 23k more than what I make now. Wow Ramit -- I just pulled my job title on payscale.com and I have the potential to make 30k more as a top performer!!! According to payscale.com, after working at my current job for 10 years now, I am working 10k less than the lowest values they show. And a top performer (say the 50% mark) could make about 22k more. Sort of depressing -- but also can be seen as an opportunity to use some of what I am learning here. If you've read my stuff, you've heard stories about people negotiating thousands of dollars. Mentally, most of us add it to our "Yeah...I really should do that" list -- along with working out more, eating healthier, and traveling more. Yet when it comes to negotiating our salary, we almost never do it. Why? One profoundly important reason we don't negotiate is the same reason we don't do all those other things that we "should" do: We all have "invisible scripts," or guiding beliefs so deeply embedded that they're almost invisible to us. "I should follow my passions"
"I should hook up with a lot of people before I settle down"
"I work hard, so I deserve this nice apartment"
Sometimes our scripts are helpful, productive, and based on evidence. Other times, though, they're negative, limiting, and completely false. This is especially true of our scripts about negotiating. INVISIBLE SCRIPT #1: "I can't negotiate." "I used what I learned [to]....negotiate a raise while salaries were frozen at my job... I was able to secure an increase over 10%. Thanks!" Brian P.
"I negotiated a $13,000 raise from my previous position, jumped two titles up to Assistant Vice President, the incentive plan is SIGNIFICANTLY more lucrative." Chris H.
"I used the negotiation strategies in a discussion with my manager about a raise. He was blown away.... After I presented my ideas to him, he basically told me how to get 2 salary increases during the calendar year 2012, which I had not even considered, and said he would stand behind such efforts." Claude J. By the way, top performers have these invisible scripts, too...but they overcome them and ask to be compensated fairly. They're not rude. They're not aggressive. But they are polite and firm in asking to be treated right. And they use the right phrases and strategies to negotiate their raise. If you're valuable to your company -- if you do good work, if you take the initiative, and make your boss's life easier -- you're worth FAR more than you think, even in this economy. But you have to know how to ask for it. The truth is, $5,000 or $10,000 to your company is a drop in the bucket. But to you, it could be life-changing. INVISIBLE SCRIPT #2: "The economy is terrible. In the last few years, the media has hammered it into us: "There's a national recession. You should be lucky to have any job at all!" That's fine -- for average performers. That's the same caliber of advice you'll get from the media that recommends you print out your resume on extra-heavy paper and reminds you to show up early for an interview. Duh. Advice that's obvious at best, and pointless at worst. Yes, the economy is tough. But that means top performers are valued even more now, because companies want to hold onto the best people who are helping them stay competitive. If you go home at 5pm and never contribute anything useful to your workplace beyond your basic duties, you should stop reading this and close the window. But if you contribute more than the average person -- and you're willing to work hard -- you should be paid the amount you deserve. "I was feeling really dejected, undervalued and hated my work life. Your budgeting breakdown reinforced that I truly deserve to be paid more--I shouldn't be working over 40 hrs a week and not be able to pay all my bills." Tessa N.
my boss will notice me." The classic invisible script is also horribly sad, since it usually takes us years to figure out that simply putting our head down and working hard does NOT get us noticed at work. And simply "doing good work" is not good enough. Then we hear words like "networking," which make us think of a sleazy, slimy, scammy business guy. Better to just forget about it and do our job...even if it means not getting a few thousand dollars more. The problem is those thousands of dollars are actually worth millions over our lifetimes. And networking doesn't have to be sleazy or slimy. You can actually let your boss know how important your contributions are without being arrogant or rude -- even if you're an introvert or new to promoting yourself. By the way, how would it feel to know that your co-worker -- who does the same work you do -- might make $3,000 more than you do? Chances are, he took the initiative of negotiating his salary. He didn't even have to be a master at it...he simply raised the question in the right way. And with some training, you can do far better than that. You'll know exactly WHAT to say, WHEN to say it, and HOW to say it -- and you'll have the confidence of hundreds of other people's successes and finely tuned scripts behind you. "Using one tip alone, negotiated my salary by $30,000". Negotiated 8% raise. "Using a few of the skills, I increased my salary by 8% at my current job. When the skills are placed together in a system, they become much more powerful. I've heard stories of some of my friends who are currently looking for employment; they are falling into "traps" that I know how to avoid. Ramit's system taught how I can present my skills to employers and so they want me to help solve their problems." We've talked about how we "know" we should negotiate...but when we don't, it costs us thousands of dollars per year...adding up to MILLIONS of dollars over the course of our careers. That's not an exaggeration. 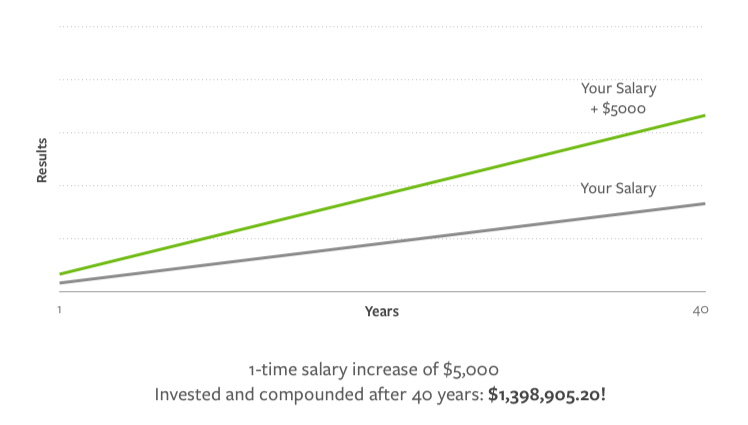 A single $5,000 negotiation in your 20s, when properly invested, can be worth more than $1 million by the end of your career. And people who negotiate once tend to successfully negotiate many more times. If we assume you negotiate just THREE times in your career, for a total of $30,000 (5k, 10K, and 15K), that means you're losing over $300 per DAY by not negotiating. Every day you're not negotiating, you're losing money. And it's not just about salary. You're losing other things you could negotiate -- things that my students have negotiated -- additional benefits, flex time, better titles, promotions, increased responsibilities. And most of all, the ability to know you're being paid what you deserve...and treated with respect. Most people never negotiate because they're afraid. But when you see your invisible scripts for what they are -- limiting, unsubstantiated beliefs -- you can make a change. When you finally hear what your boss isn't telling you, you'll have the confidence to ask for what you deserve. And when you're armed with the exact scripts, timetables, and video lessons on precisely WHAT to say and HOW to say it, you'll be unstoppable. I've been on both sides of the negotiating table many times. I've negotiated my compensation as an employee and consultant, and I've had my staff negotiate against me. Let me share the biggest insights from having those two very different perspectives. $5,000 or $10,000 means nothing to a company, but it means everything to you. Let's assume your current salary is $60,000. That means your company is paying around $100,000 "fully loaded," when they include taxes, health insurance, benefits, furniture, and everything else. And that's just for junior people! If your company employs 10+ people, they're likely doing at least 7 figures in revenue -- often many, many times that. $5,000 is nothing to a large, medium, or even small company! They do not want to lose you over a few thousand dollars. That's pocket change to them. Keeping their business running is far more important than counting pennies to them -- and for most companies, that's exactly what $5K or $10K is equivalent to. "But the economy is really bad..."
This may be true, but top performers aren't concerned with the macro economy, which they know they can't control. Instead, they focus on adding the most value at work, understanding what their boss needs, helping him shine, and quantifying their work. Even in a difficult economy, most companies can find the money to retain (and give raises to) top performers -- often by withholding raises from average performers. You've already cost your company thousands of dollars. $5,000 or $10,000 is nothing. Companies spend an average of approximately $6,000 recruiting new college graduates. As you get more and more senior, that number increases. Factor in training and onboarding, and your company has already spent well over $10,000 just in hiring you. They don't want to lose you for a simple $5K or $10K request, which they'd have to spend if you left anyway. If you can make the case, you can often bring your pay up dramatically. Most people (especially women) simply don't try to negotiate their salaries. They take the salary that's offered...over and over again...and soon, they wonder how their co-worker (who does the exact same work) makes $10,000/year more than them. When you don't speak up, you invisibly condemn yourself to passively accepting whatever your boss offers -- and his goal is to pay you as little as possible to keep you working! It's risky NOT to negotiate. First-time negotiators worry about the risk of negotiating: "What if he says no?" But we already know that your company has spent thousands recruiting and training you, so they don't want to lose you. The bigger risk is NOT negotiating -- and losing $300+ per day, plus the respect of your boss and peers. When you ask for what you're worth, you'll be surprised how quickly your boss will treat you with respect. Are you ready to learn how to ask for what you're worth? If you've ever wanted to become one of the top performers who can walk into their manager's offices and walk out after negotiating their salary...this course may be for you. If you're tired of waiting for your boss to recognize your work and to magically raise your salary...and you're ready to change the "waiting game," this course is probably right for you. And if you're ready to take control of your life -- realizing that this is not just about the money, but a new perspective on asking for what you deserve -- this course is definitely right for you. Now, first, what this course is NOT: This is not some random ebook with advice like "Dress professionally" and "Be confident." Those are obvious and a waste of your time. In this course, you'll learn material you cannot findon Google or by reading random books. That's because I spent years developing my own skills as a negotiator, interviewing against hiring managers at companies like Sun Microsystems (I beat out Stanford MBAs as a sophomore to land an offer...then negotiated my salary for a dramatic raise...as an intern), Google (where I secured a job offer as an Associate Product Marketing Manager, and ended up turning it down), Intuit, and a multi-billion-dollar hedge fund. I took my learnings and combined them with some of the smartest negotiators on the planet, including my classmates at Stanford. Then I tested the material...and tested it again and again, collecting thousands and thousands of data points from my audience of 300,000+ monthly readers. Finally, I packaged it up into videos and lessons, complete with the actual body language to use, the words to say, and even the vocal tone to model. All in HD video for you with full transcriptions. How to quantify your worth -- even if your work isn't quantifiable! How to use classic "mind-reading" techniques to hone in on what your boss wants -- what will make him happy to raise your salary -- and then deliver it in the most effective way. Hint: Just doing what he wants and praying for a raise rarely works! Watch the tactics that master negotiators use, including word-for-word scripts, actual before-and-after body-language analyses, deep psychological techniques, and "objection crushers" -- all on video. Word-for-word email scripts that have proven successful in multiple negotiations. Objection Crushers: How to handle classic objections like "We don't have the budget" and "This isn't the right time." Includes the words, body language, and psychological techniques to control on-the-spot anxiety. This is the most complete, step-by-step guide on negotiating your salary anywhere. Not just random "tips," but the actual phrases, techniques, and strategies that people from around the country have used to successfully negotiate thousands of dollars...in every imaginable industry. That's my philosophy. It would be easy to put together a 50-page ebook with obvious tips like "Get to the office early!" and "Always know your options!" What a waste of time. I wanted to do something different -- something that would stand the test of time and help you get paid what you deserve. I spent years developing my own skills as a negotiator, then years more packaging this into the most complete, step-by-step guide you can use. I included videos analyzing students' body language, and doing minor tweaks that boost their effectiveness as negotiators. You can see their dramatic changes in just 10 minutes. You'll be armed with the newest material that works -- and you know it works, because it's been tested with hundreds of other people. This course isn't for everyone. You're looking for a "magic bullet" of tactical phrases to use without a deeper strategic understanding of how master negotiators operate. Negotiated $6000 increase and 8% bonus at a new job. 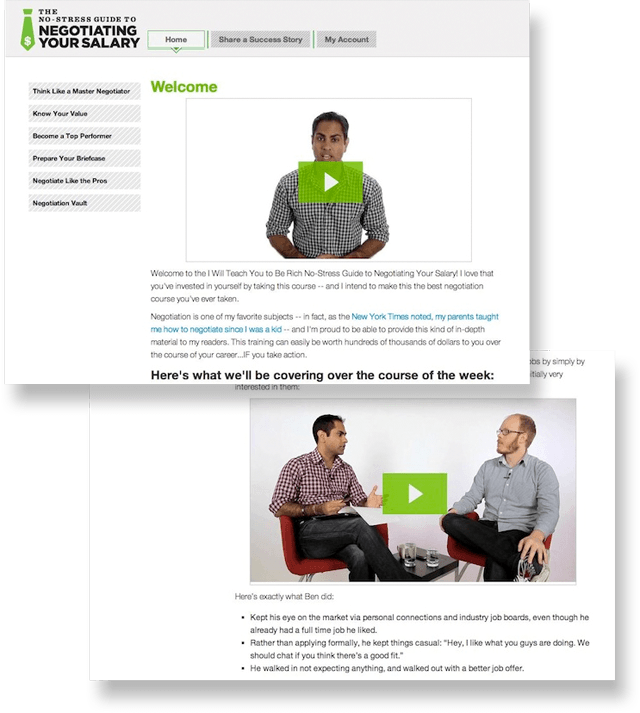 "Hey Ramit, I'm currently a student in your course and I just got a $55,000 (63%) raise because of what I learned. I'll say it again, HELL YEAH!!!! I am glad because the course has now made me $53,000 richer...and that's just this year."." "Ramit, I used some of your tactics in a negotiation last week and it resulted in greater than $15K compensation. I accepted the position yesterday. Thanks for your help." How to Negotiate Like This? Books: You can buy all the best negotiating books for several hundred dollars and pore through them. To do that, you'll have to evaluate hundreds of books, read the reviews and the books, and then piece together all the material you've learned. You'll learn some valuable material, but you'll also learn irrelevant academic theory and outdated advice -- and you'll still be stuck with a head full of material, but no practical steps on what to do for YOUR situation. Cost: $300+. MBA: You can get an MBA, but that's typically $100,000+ and will teach you little about applied negotiation. Cost: $100,000+. Negotiation seminar: You can attend a negotiation seminar, which usually costs $2,000+. Cost: $2,000. Delusional passive income: You can continue chasing the dream of passive income, waiting months for an uncertain income, instead of tackling the largest opportunity you have in front of you right now: your income. Cost: Months of waiting and inaction. Wait to "figure it out": You can also wait to "figure it out"...with each day of inaction costing you $300+. Cost: $300/day. "I applied your skills to totally change my life. I recently used your briefcase technique and your quick tutorial on the negotiations to substantially increase an offer I recently received. Using the techiques you detailed in your emails, I have successfully increased my salary by 25%, negotiated for additional week of PTO, flex hours, and working from home 3 days per week." Stephen E.
"I negotiated over $35,000 in salary increases and bonuses; received relocation assistance of $11,000 to move from Brooklyn Heights to Manhattan for my current job (yes, that is over $1,000 per mile relocated!) and just last week, I negotiated a second day of remote work per week plus payment for the co-working space I use when I work remotely ($1,200/year post-tax benefit)." Josh B. "You helped me double my salary (plus a little extra): 30K to 64K and full benefits" Clane K.
"I was a fresh college graduate making around $32k a year. After doing a bit of studying and really putting what I learned into action, I'm now making six figures (a year and a half later). I'm revealing this because I think literally anyone can do this if they just get up and take action.... You'll get results. Guaranteed." Eric S.
"In January, I negotiated a 50% increase in my salary, which I renegotiated in May with another 30% increase - this, at a company supposedly "crippled' by the economy. I automated my expenses and am finally saving 20% of my income without even noticing it leave my bank account. I can't say that I am doing my "dream job" but maybe after implementing some of the tactics in this post I'll make my way there. Thanks, Ramit!" A.
Meryl M. Negotiated a $2,000 raise on a job offer, at a non-profit. Lara W. 35% salary increase: $40,000 to $54,000. Robert R. Negotiated a 55% raise. Eric M. Added 10K to job offer, plus bonus. Marcos A. I was able to negotiate a 40% increase (in salary +benefits), worth $8000. Matt L. Negotiated a $3,000 salary offer increase. Kristi L. Negotiated an initial $40k job offer to $65k. Paul E. Negotiated a $21,000 raise. You'll get access to 2 weeks of daily multimedia lessons featuring step-by-step action steps on overcoming psychological barriers, getting inside your boss's head, becoming a top performer, and negotiating like the pros -- including the exact words to say and how to say them. All of this material has been tested and proven to work with hundreds of students. Yes, people who just got a job. Yes, people who already negotiated 2 months ago. Yes, people at non-profits. This course doesn't just dump all the content to you, then leave you to figure it on your own. I carefully designed my own software to "drip" out the material to you, with careful action steps every day. This system forces you to take action. Of course, if you need to "pause" the course and resume it later, you can do that any time. You have lifetime access to the material, so consume it at your own pace. How to permanently adopt a "negotiator's mindset" so you can ask for -- and secure -- everything you deserve in your career. Why negotiating is so important -- and why it's not just about the money. Discover the "psychological tricks" people use to talk themselves into not negotiating -- and learn how to avoid them. The 3-question quiz to determine if you're a top performer -- and the fool-proof method for becoming one in 3-6 months even if you're not. Behind the scenes: A case study of two women I was coaching -- why one failed, one succeeded. Use the Failure Expectation technique to increase your chance of success. How to discover your TRUE value to your employer and stop settling for less than you're really worth. Behind the scenes: Why companies don't care about money like you do -- and why yours can almost certainly pay you more. Step-by-step tactics to test the market and discover exactly how much you're really worth. Behind the scenes: How to identify the subtle ways we sabotage ourselves -- from the words you use, your tone, and your body language -- and how to overcome them. Includes detailed video example and analysis. The #1 critical mistake people make when negotiating salary...and how to avoid it. Use the Negotiation Timeline to plan every step of the process and dramatically improve your results. Actual, word-for-word scripts to get your boss to commit to a future discussion about salary, so he can't simply brush you off later. MORE proven scripts for keeping your boss happy and in the loop. The fool-proof way to go from average performer to top performer -- at any job. Stop! A mid-point check-in to measure you're progress. Keeps you accountable, make sure you're on track and taking action, not just consuming. The famous Briefcase Technique, which my readers have used to consistently land 5-figure raises. More importantly, we'll talk about the advanced mechanics of why it really works -- and how to apply it for your specific situation. Real examples of Briefcases prepared by my students, plus the considerable amount they negotiated. How to strategically prepare your "List of Asks." It's time to finally start talking about what YOU want. Behind the scenes: An actual Briefcase Technique example from a part-time, nonprofit employee -- if she can do it, anyone can. Exactly what to do in the 1-2 weeks before your review, including word-for-word scripts to prep your boss for you salary review. Use an arsenal of techniques to handle every type of negotiator: adversarial, cooperative, even helpless. The Fallback Technique or, what to do when they say "no"
Learn the special phrases to "coax" a negotiation down the path you want...even if they initially say "there's no budget" or "you can't make more than this because everyone else makes this" -- PLUS video examples of the techniques in action. Learning in action: Watch a brutal negotiation roleplay between me and one of my students. See the difference between "thinking" you know how to negotiate and "actually" doing it. Welcome to The Negotiation Vault! Build your skills and apply the tactics to your unique situation with this exclusive collection of scripts, worksheets, video interviews, and video practice sessions. Candid Q&A's with student's toughest negotiation questions. Advanced class: How I personally consume lots of material quickly and apply it to my life. Tactics for getting the most out of your No-Stress Negotiation course! Advanced class: One of my favorite negotiation videos -- a 26-minute video with one of the best negotiators I know. Course wrap-up and final points. Lifetime Access to the "Negotiation Vault." I wanted to blow every other piece of negotiation material out of the water for you. Beyond the coursework, you'll get access to the powerful "Negotiation Vault," which includes tested negotiation results of hundreds of other students to walk into your negotiation fully armed with the latest, most effective tactics. FIELD REPORTS from real students who landed massive raises -- including the actual words they used. Video INTERVIEWS showcasing dramatic success stories and the negotiation tactics behind them. Your course includes PROVEN scripts to get inside your boss's head, land higher-value work, effortlessly request (not ask for) a raise, and deftly parry any objection -- all while remaining 100% positive, professional and non-confrontational. And that's only a few of the numerous scripts you'll get full access to. PLUS -- you'll get to see real-world examples and video demonstrations of the scripts in action. Watch the scripts applied in videos to observe tonality, pacing, and body language. No other negotiation resource offers tested scripts, on video, for virtually every negotiation scenario. The course includes detailed stories of successful negotiations, straight from my students themselves. Not just marketing and business types -- includes social workers, engineers, non-profit employees, designers, part-time interns, and men and women from around the world. Learn how they overcame their fears of negotiation, how they approached their bosses, the exact words and "Briefcase" documents they used. It's one thing to read about negotiation. It's another to SEE it in action. This course takes you behind the scenes into the negotiation process with HOURS of live, video negotiations with real students. I put some of my best students in the hot seat -- then tore them down with every negotiation rejection trick and technique in the book. Watch them transform in minutes as I point out the subtle "invisible" mistakes they've been making, and show them how to improve their words, tonality and body language. You'll see the before and after -- and get all of the transformative, "cut-to-the-chase" lessons I teach them to rapidly improve their negotiation skills. All in HD video. Their pain is your gain! Justin, my Stanford "inner circle" friend and one of the best negotiators I know (now a senior executive at a global technology company). You will not find this material anywhere else. At the end of the program, I'll send you an exclusive Q&A webinar where I answer the toughest negotiation questions, tackle real student barriers and role-play scenarios. Recorded, transcribed and available in audio for easy listening on your iPhone or iPod. Finally, thanks to the years of testing this material, I'm so confident that I'm going above and beyond to provide this guarantee. When I researched negotiation, I tried many of the popular courses in this area only to find that they regurgitated more of the same old, rehashed, generic info. "Be yourself!" "Ask for what you want." "Be assertive." Ok...what does that mean? What should I say? How do I even get started? That's why instead of creating yet another generic ebook, I invested my time and over $50,000 into building the most detailed negotiation course ever created. I included the word-for-word scripts, I brought students in and critiqued their body language on camera, and I revealed the actual emails and phrases I've used to negotiate tens of thousands of dollars. I know this material works because I tested it with hundreds and hundreds of successful results from my students. And now I'm revealing this material that you cannot find anywhere else. That's why my blog has been around for over 7 years and hosts over 300,000 readers per month. It's simple: Take the course, do the lessons, and see for yourself. If it doesn't work, I want you to email me, prove you did the work, and I'll refund you 100%. No questions asked. 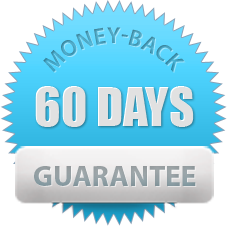 This guarantee lasts 60 days, which completely covers the course. Try the ENTIRE course. If you don't love it, just email me at ANY TIME during the course and show me you're doing the exercises and not getting results. I'll refund 100% of your price. I'll even eat the credit-card processing costs. This is not a pipe dream of "passive income." This is a tested, proven system for raising your salary -- where you're already earning 100% of your income from! If you can negotiate even a 5% higher salary, that's worth thousands more instantly. And hundreds of thousands over your lifetime. You've already seen dozens of students who overcame their own doubts and invisible scripts to put this material to work for them. A few days of learning a new skill and mild discomfort...for a lifetime of knowing they're valued and being paid what they're worth. Join this group of students and take control of your salary and your career. It's one of the cornerstones to living a rich life. 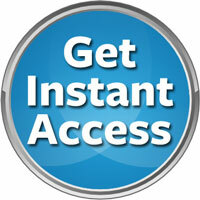 Get instant access to the No-Stress Negotiation membership site. New multimedia lessons daily, with step-by-step action steps and instructions on overcoming psychological barriers, getting inside your boss's head, becoming a top performer, and negotiating like the pros -- including the exact words to say and how to say them. This material has been tested and proven to work with hundreds of students. Includes case studies on exactly how to use the material and how to anticipate/overcome objections. Core lessons presented over 2 weeks, then access to hours and hours of more detailed materials in the Vault. The powerful, incredibly detailed Negotiation Vault features hours and hours of video, scripts, case studies, Q&As, interviews, actual Briefcases used to secure tens of thousands of dollars in raises, and field reports. Don't reinvent the wheel -- use the tested negotiation results of hundreds of other students to walk into your negotiation armed with the latest, most effective tactics that are tested to work. Use our proven scripts to: Get inside your boss's head, land higher-value work, effortlessly request (not ask for) a raise, and deftly parry any objection -- all while remaining 100% positive, professional and non-confrontational. Includes real-world examples and video demonstrations. Watch the scripts applied in videos to observe tonality, pacing, and body language. No other negotiation resource offers tested scripts, on video, for virtually every negotiation scenario. Detailed stories of successful negotiations, straight from my students themselves. Learn how they overcame their fears of negotiation, how they approached their bosses, the exact words and "Briefcase" documents they used. Not just marketing and business types -- includes social workers, engineers, non-profit employees, designers, part-time interns, and men and women from around the world. I put some of my best students in the hot seat -- then tear them down with every negotiation rejection trick and technique in the book. Watch them transform in minutes as I point out the subtle "invisible" mistakes they've been making, and show them how to improve their words, tonality and body language. You'll see the before, the after, and the transformative, "cut-to-the-chase" lessons I teach them to rapidly improve their negotiation skills. Hours of HD video of me in studio, interviewing those who I consider the best at the world at negotiation. Including: Justin, my Stanford "inner circle" friend and one of the best negotiators I know (now a senior executive at a global technology company); Julie, the law-school dropout who now negotiates 6-figure raises (not a typo); Chris, the self-described "socially awkward" IWT reader who tripled his income in 18 months...and more. An exclusive webinar where I answer the toughest negotiation questions, tackle real student barriers and role-play scenarios. Recorded, transcribed and available in audio for easy listening on your iPhone or iPod. Q: "Will this work for me if I'm (a non-profit employee, live in Europe, work at a startup, etc)?" A: Most likely. I tested this material with dozens of industries and companies of all sizes, including 1-man shops and Fortune 500 companies. This material has worked with companies around the world and for inexperienced negotiators, as well as people who already have successful negotiations under their belt. Of course, this course won't work for everyone. It's typically difficult to negotiate government salaries or regulated industries. But you'll be surprised how often this material works, regardless of locale, company size, and skill level. That's why I offer a 60-day guarantee. Try the entire course and if you don't love it, send an email, show me you've done the exercises, and get a 100% refund. No catch, no tricks. Q: "I'm nervous about negotiating. I have trouble at networking events...I'm never sure what to say. How can this course help me?" A: Nobody is born a natural negotiator. I spend a significant amount of time showing you HD video clips of how to improve your social skills -- including how to handle objections, what to do if you get nervous, how to control your posture and breathing, and what to do if you get stuck. You'll learn about timing and controlling your tonality. Best of all, you'll see people of different calibers -- beginners, intermediate students, and true negotiation masters -- all on video, showing you their attempts at negotiation. You'll be shocked how quickly you can improve your social skills and negotiation techniques...with the right training. Q: "You talk a lot about being a top performer. What if I'm not even a top performer?" A: I'll show you how to rapidly become a top performer in 3-6 months. Not for all aspects of your job -- that would take a lot longer -- but for the critical parts that will allow you to ask for, and get, a substantial raise. There is a critical roadmap that you can follow to maximize your chances of doing the RIGHT work that will pay off. The other alternative is to put your head down, do "good work," and keep hoping your boss will notice. As much as we want this to work, it rarely does. This course can show you what work will have the biggest impact on your salary and your career. Q: "I'm looking for a new job. Will this help me?" A: Yes, 95% of the principles are the same. We have some specific case studies and videos -- including advanced material on leveraging multiple offers, creating bidding wars, etc. Q: I'm a freelancer trying to raise my rates, will this help me? A: No, I would not recommend this course for you. Although much of the material is similar, this is specifically for people working at companies with a boss. Q: "How do I know this will work for me?" A: Get real. Nobody knows if a course will work for them 100% -- that's why it's called taking a risk. If you knew something would work with 100% certainty, every single person would already be negotiating their salary. If you believe my material has worked for millions of other people...and you trust what you've read, like PBS/ABC/New York Times/Fortune trusts me...then perhaps it's worth a few weeks of your time to potentially change your career for the rest of your life. If not, don't join! "No, you can't buy lattes!" "No, you can't afford those jeans." "Vacation! Ha! Put that money in your savings account and in 48 years, it will be worth $2,805." Why should we feel guilty for wanting to live a rich life? Who wants to wait 30 years to start living the way we want to? I want to go on vacations now. I want to travel and hang out with my family. I want to buy my friends a round at the bar and not feel guilty, or worry that my bank account will be depleted the next morning. There's nothing wrong with wanting more of out of life than saving $3 on your morning latte. It's not greedy to want more. It's not greedy to be paid what you deserve. In fact, instead of worrying about saving $1 here and $5 there, if you could simply increase your income 5%-10%, that would pay for your lattes...for the rest of your life. You don't have to do this alone, either. There are proven tactics you can use to earn more-- tactics that thousands of others have successfully used to raise their salaries and improve their jobs. Instead of trying to re-invent the wheel, tap into a powerful network of I Will Teach You To Be Rich graduates who have done the hard work for you. Soon, you'll start to see the common phrases you hear everywhere -- "We can't give you a raise in this economy" and "You should just be happy to have ANY job" -- for what they are: scare tactics, designed to keep most of us ordinary. You know people like this. They may be pretty happy overall...but every so often, you'll hear them complain about their job...their relationships...and always, always money. If you ask them, "So what have you done about that?" they'll look at you with a blank stare. It never occurs to them to step up and take control of their own lives. Others decide they want to take control of their salary...their careers...their lives -- even in a tough economy. This is your chance to make a change for the rest of your life. If you trust the material that I've been writing for 8 years...if you trust the same material that's been featured by the Today Show, PBS, NPR, the New York Times...the same material that earned me a 6-page profile in Fortune...then take a risk. Even if it doesn't work, I promise you'll have the most interesting few weeks of your life learning new skills and putting them into practice immediately. But in the best case...in the case where you successfully take control of your career to get paid what you deserve...and more importantly, recognized for being a top performer...the sky's the limit. No more worrying about scrimping and pinching pennies. No more complaining about the economy being bad, or letting your boss dictate another measly 2% cost-of-living adjustment. You'll have the skills and exact tactics to raise your salary...for the rest of your life. That's living a rich life. Give yourself an edge in life and use this material to start taking control today -- like hundreds of others already have. 1"I used your techniques to double my salary from $43,224 to $83,125. Plus relocation and benefits." Justin R. Extra $10k, 5+ weeks of vacation, and 6% 401k. Steve L. Negotiated $6000 increase and 8% bonus at a new job. Stephanie F. Negotiated salary increase twice in a one-year span. Tiffany T. "I negotiated a 20% increase in starting salary and a 10% raise after 6 months. I also negotiated for vacation and medical benefits (and my new salary is over 100% more than I had been making). Erin C. 10% salary increase + bonus on existing job.